During a cool project where I was using FOG (free open-source ghost) I realized that having a PXE boot server can pose numerous advantages. I wanted a PXE boot server that included FOG and it’s capabilities along with a multitude of operating systems and utilities that can be installed / ran over the network. This can replace the need of having a X number of CDs/DVDs/USB sticks around and the best of it all, multiple PCs can be booted with the same live OS or utility at the same time. Similar projects that resemble what I’m trying to do are Ultimate Boot CD and PXEknife (apparently discontinued and dead). 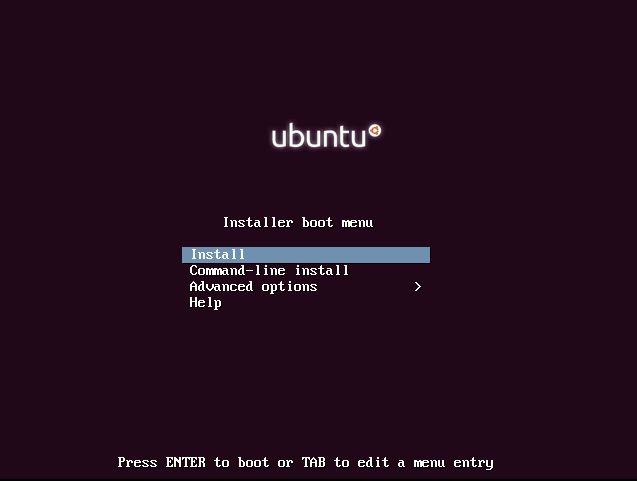 It all comes down to the /tftpboot directory, where the boot menu is defined, along with all its graphic elements (background image, colors) and where the OS and utility files are being placed. 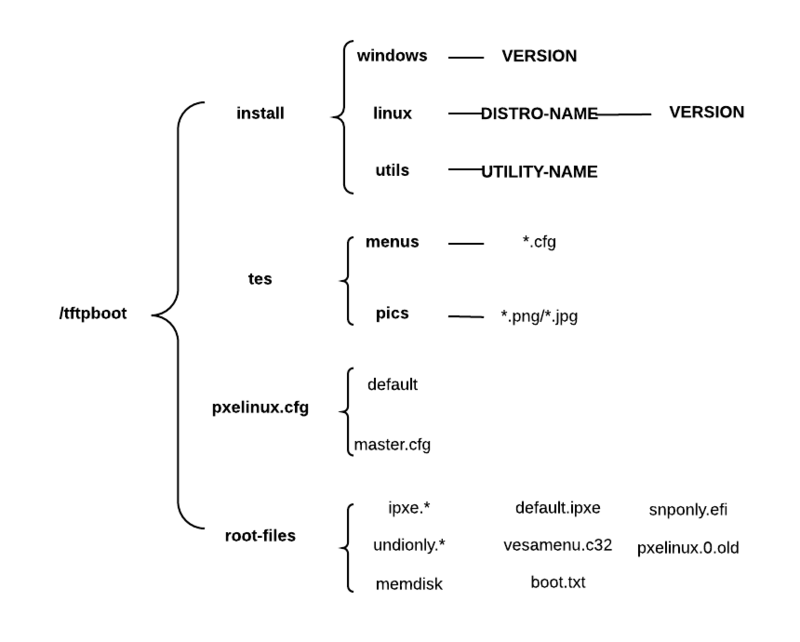 The boot menu structure follows the directory structure from above – to be more specific, the “install” folder and its subfolders. 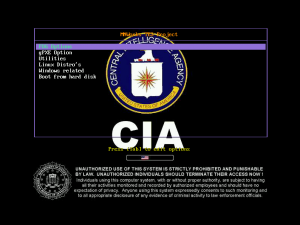 Yup, its the CIA logo on the background – a quick google image search can give the most unexpected boot splash images. 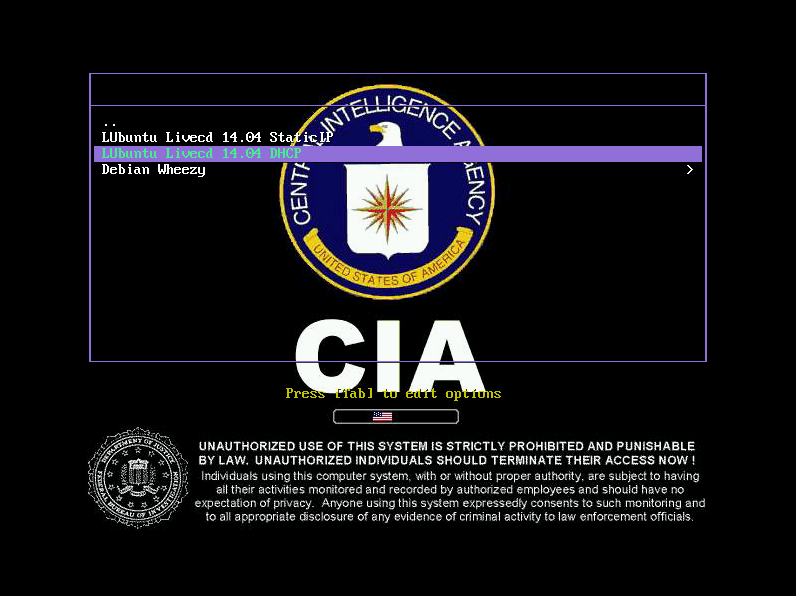 An archive with the /tftpboot folder can be found on the Resources page. 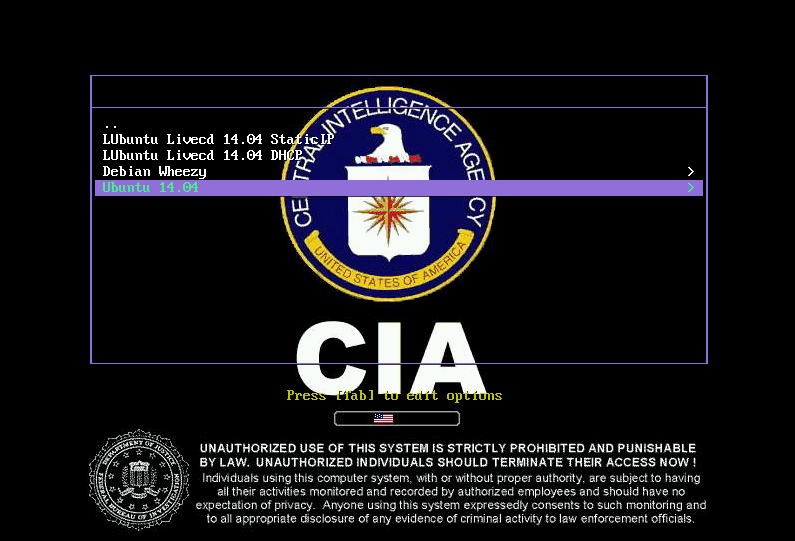 Apart from the files and the directory structure mentioned above, it includes a Debian Wheezy netinstaller and memtest. 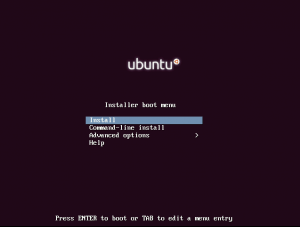 This example will cover the most simple scenario, that of downloading the net installer files from the distro source – in this case Ubuntu 14.04. 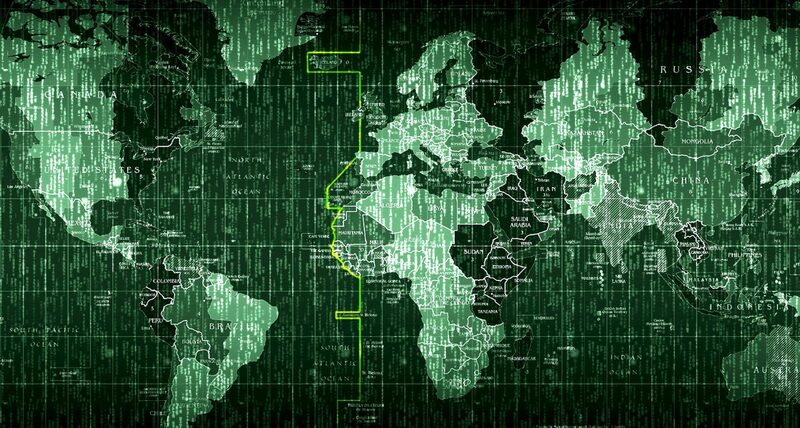 Download and extract the files in the desired location. 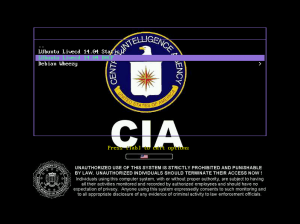 The following assumes that you have created the path according to the directory structure. It would go really slow to modify each of the paths manually for each files and that’s why I used the below sed line, which replaces the initial path with the full one.